Our marine wildlife is amazing and we want to tell everyone! Yorkshire Wildlife Trust is creating a county rich in wildlife and we need passionate, inspiring volunteers to share the wonders of nature with people across Yorkshire. From the Living Seas Centre the Trust runs regular events from education sessions with local schools to Living Seas Safari boat trips and Seashore Safaris for the public. We are looking for people who can inspire others and help us to delivery these events throughout the year. At the Living Seas Centre we run a range of events across the year to inspire people about nature, from school group visits to bookable events for the public. 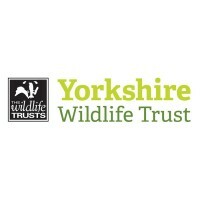 In this role you will help to deliver these activities, representing Yorkshire Wildlife Trust, and sharing your passion for nature with others providing a high quality visitor experience. A chance to learn more about the amazing Yorkshire coast and the wildlife that calls it home. Commitment: Flexible- we have events and education sessions running weekdays and at weekends. You could help out with half a day a month to a day a week, the choice is yours! Duration: Ongoing – Most of our events happen between April and September. This is when you will be busiest.